Finding maternity scrubs for the tall woman can be troublesome. You may need to use all of your resources to find pregnant clothes that fit you for work, whether you are a doctor, nurse, technician, or veterinarian. Although many drawstring scrub pants may be adjustable, they will be hard to keep on once your pregnant belly becomes prominent. They may fall off if you try to tie them below your tummy and they may not come up high enough to tie above or on your tummy successfully. Even if you can get them up and tied comfortably, you could be left with several inches of "high waters" at your ankle. During the first trimester of pregnancy and into the second, you may be able to wear stretchy elastic-waist scrubs in tall length. Buying a size bigger than you normally wear can give you a month or two extra before you transition into actual maternity scrubs. At some point in your pregnancy, you will realize the inevitable has happened. Your scrubs either cannot stay up or they cut into your abdomen and you need the extra room in the stomach. It may happen at five months or not until seven months but, eventually, it will happen. Getting a couple of custom made maternity pants will not only accommodate your expanding belly but will have an inseam perfect for your height. Scrub Med has a maternity tunic and maternity pant available over their website. The alterations page states that custom alterations, like inseam adjustments for pants and hemline length for tops, are available on most of their scrub offerings. Contact them to find out more. Ordering custom maternity scrubs may not be in your budget for the short amount of time you will be wearing them. You will need to look for alternative options that fit your budget. Maternity Catalogs: If you receive catalogs in the mail that are marketed to tall women, call their customer service line to find out if they offer a line of uniform wear and maternity clothing. The items may be in a different catalog that ships separately from their catalog of fashion clothing. Used Maternity Clothes: Ask someone you work with who is close to your size if they have any used maternity scrubs you can borrow (or buy cheaply) for the next few months. Scrubs are cut fairly loose, so even if the size is one too big or one too small, you will likely look okay as long as the inseam is close to what you need. 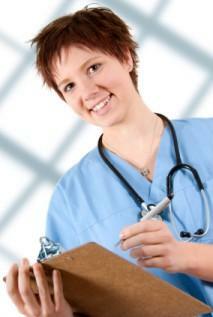 Outlet Uniform Shops: Find an outlet center for nursing and scrub uniforms. Check back with them frequently as inventory may rotate quickly. Wholesale Maternity Scrubs: Check with human resources to find out if uniform catalogs or offers are mailed to the office. You may find a scrub wholesaler who has a retail showroom offering specialty maternity sizing. If not, speak with other women in your workplace and place a group order through the HR department if they approve. Wearing a uniform to work offers tall women fewer maternity clothing resources. But, the trouble you go through finding maternity scrubs will be worth it when you discover a comfortable pair of pants that keep your ankles covered or a shirt that keeps your belly button hidden.